Plug-in cars are all the hype now because they are energy efficient and contribute their share to the planet. If you are among those who likes to buy a Mercedes Benz S-Class plug-in variant, it’s time to wait for the next generation to roll out. The thing about cars powered by an engine and an electric motor is that they are to be filled by gasoline as well as manually charged at a plug point. Some may find it a tedious task to plug the car manually to let it charge for a period of time. The engineering team is going to make life easier for them all. Based on a report published by a leading automobile magazine, the new range of S-Class Plug-in models are about to be launched. The 2017 Mercedes Benz S-Class plug-in is going to feature wireless charging. In a time when brands like Nissan and Chevrolet are already focusing on autonomous technology as well as wireless charging, this is not going to be groundbreaking. However, it is good news for Mercedes fans. After all, they no longer have to anything manually. The new variant of the S-Class hybrid will be equipped with two coils, one of them will be placed near the battery on the floor. The second coil should be planted in the garage or any closed parking space where the car will be parked every day. The system is almost similar to the one being used by smartphones. The charging system will immediately recognize when the car is inside the vicinity of the power source. It will automatically charge the car once it becomes stationary. When compared to the regular plug-in setup, Mercedes claims that the new coil based technology is 90% efficient. In other words, it can deliver the same power output required to charge the batteries without any loss or delay. The company added that wireless power transfer capacity is rated at 3.6-kilowatts per hour. 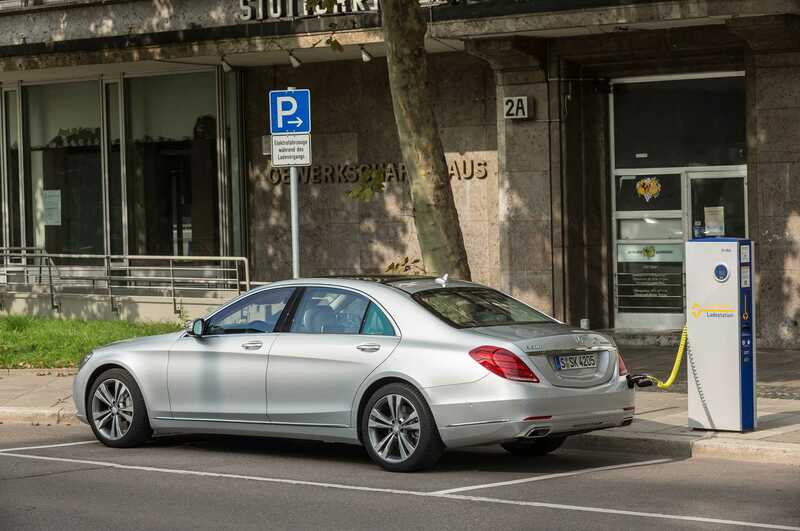 Autonomous technologies developed by the brand can be integrated into the Mercedes Benz S-Class Plug-in hybrid model. It will enable the car to automatically locate and park itself in position once the passenger reaches the vicinity. It is made possible by the coils and the sensors mounted in the vehicle. The S550 model is available only in California in the United States due to regulations and restrictions on hybrids. There is no confirmation on when it will reach other states in the country.